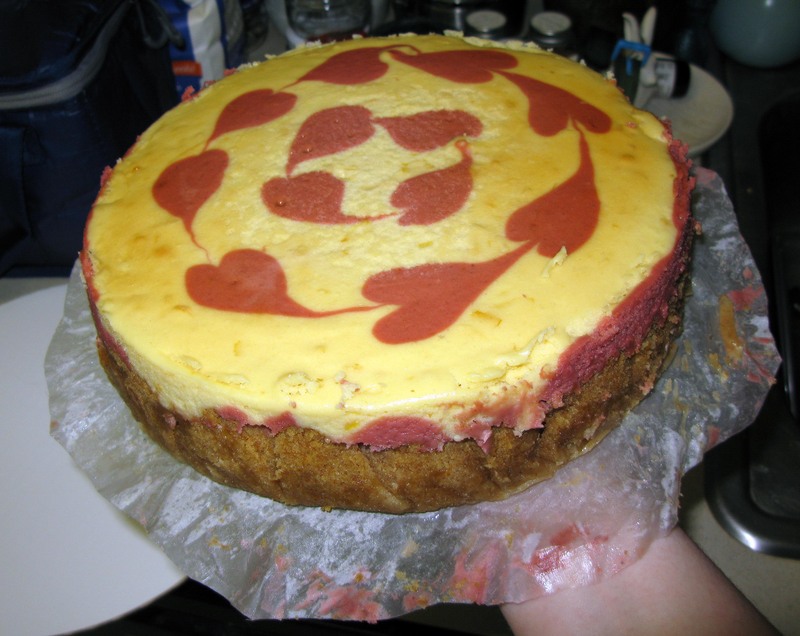 Lemon Pomegranate Cheesecake | I Wanna Bake! Once again, it seems I’m late with a holiday post. Several food holidays are bunched up in the beginning of the year (Mardi Gras, Valentine’s Day, Packzki Day, etc. ), so I’m falling a bit behind in my production schedule. 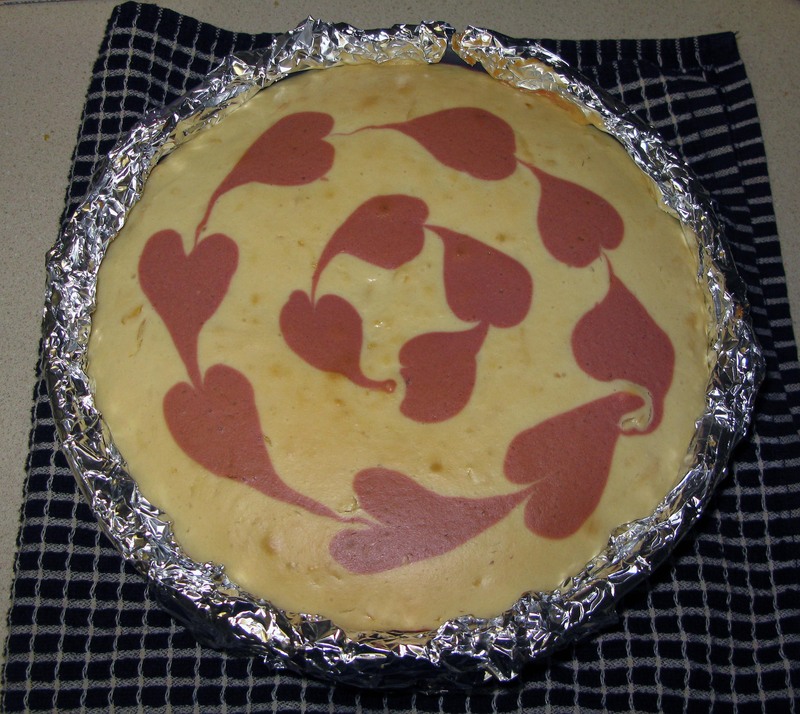 That said, this lemon pomegranate cheesecake is going to be great any time of year, with or without the pink hearts on top. 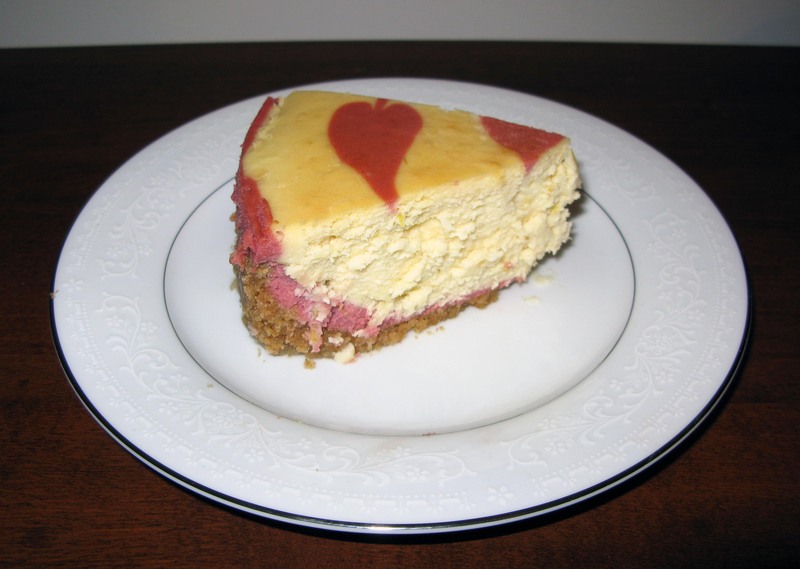 Many believe that cheesecake is a finicky beast, prone alternately to cracks and soupiness. Here’s the truth about making cheesecake: it’s a time-consuming process that has a lot of steps, but none of those steps are hard. Mastering the art of cheesecake really doesn’t take much effort, and it impresses everyone who hasn’t done so with your baking talents. After trying it yourself, you’ll find that it’s not hard at all to avoid cracks or bake to the perfect firmness as long as you follow the procedure properly. This particular cheesecake started its life entirely differently as this turtle cheesecake from Taste of Home (my personal favorite cheesecake). I liked the original recipe so much that I decided to use it as a starting point for this one. I did have to add a bit more flour to thicken the batter because I added a not insignificant amount of liquid, but the recipes are surprisingly similar at their core. If you feel like adding a little surprise, you could also sprinkle some pomegranate seeds between the layers. For some reason, I’ve been in the mood for Mötley Crüe lately (when it’s not Dr. Feelgood in my head it’s Kickstart My Heart, it seems). Ratt would also probably be a good substitution, as would most other hair metal bands. 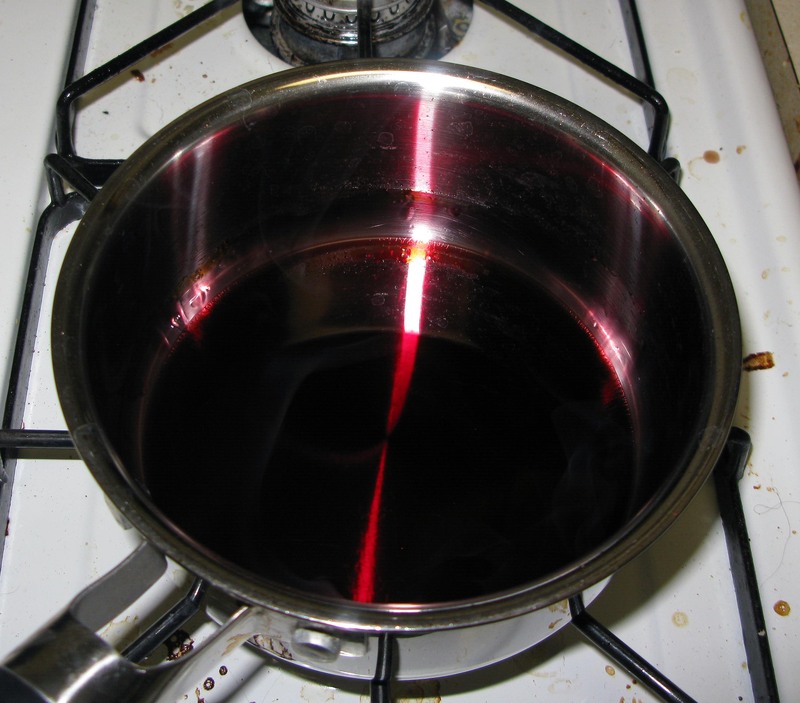 First, pour the pomegranate juice into a small saucepan and bring it to a boil. Boil it until its volume is reduced by half. 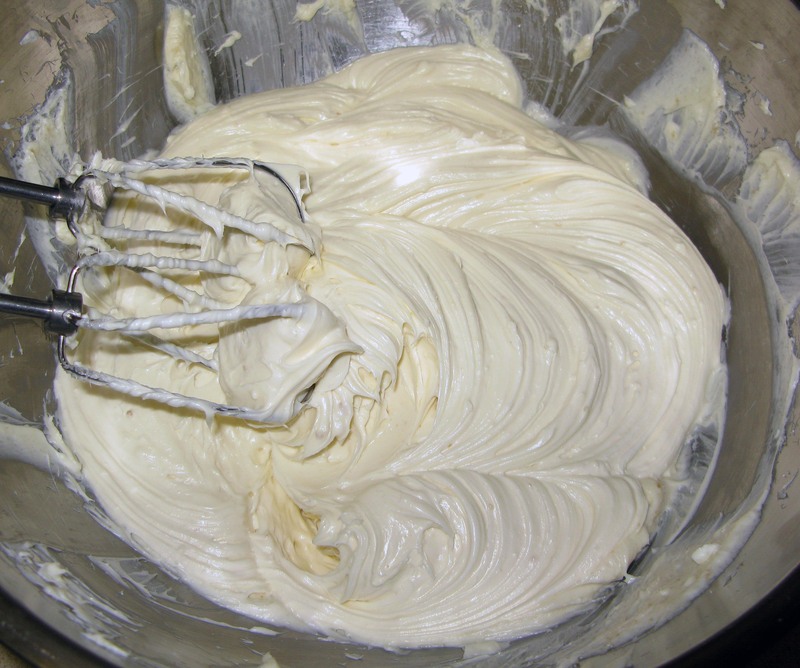 This will give you a more concentrated flavor with less liquid, which keeps your batter from getting too runny. Remove the juice from the heat and cool it completely. 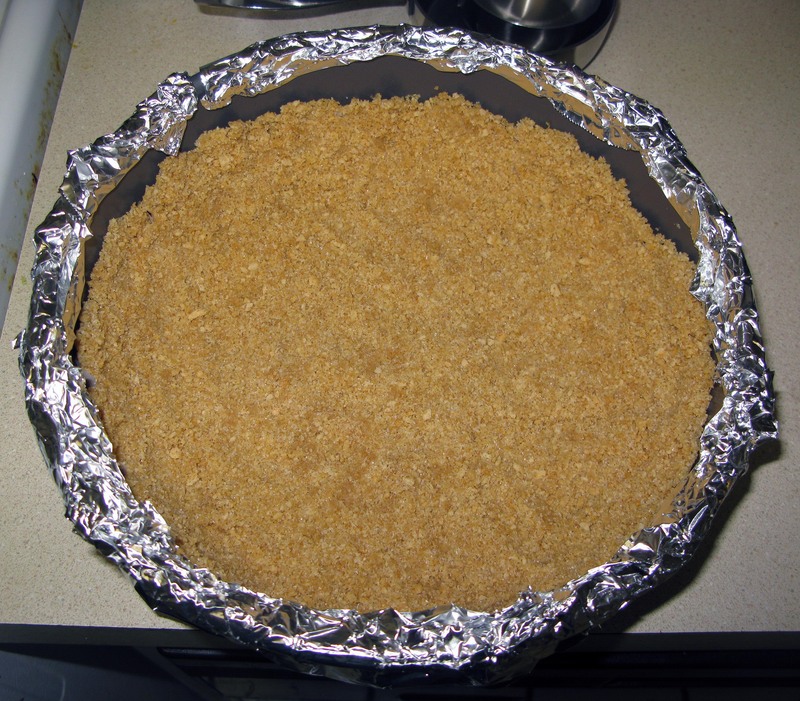 Next, you’ll need to make the graham cracker crust. Preheat your oven to 350°F. 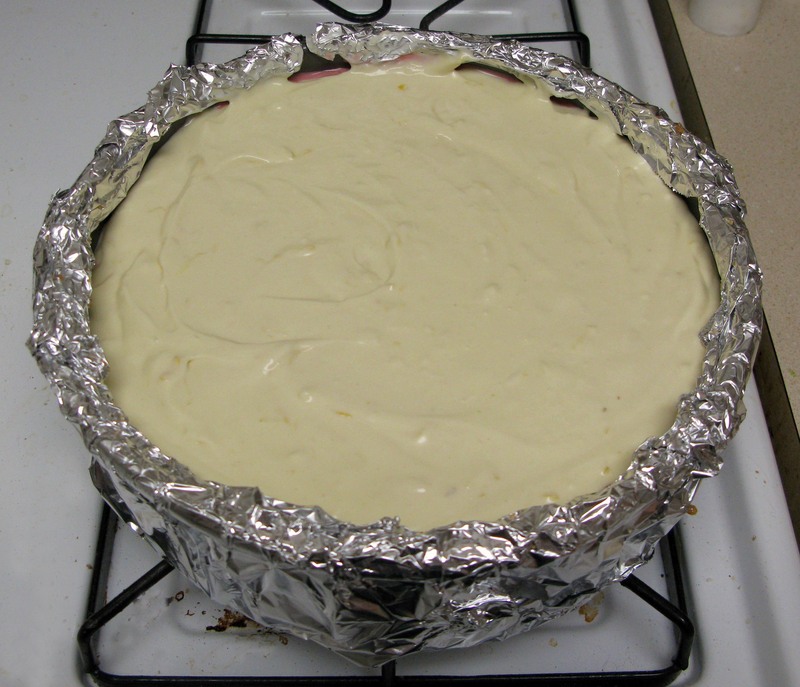 Line the bottom of a springform pan with a parchment paper circle and wrap the outside tightly in aluminum foil (this keeps the water out of your cheesecake). The parchment paper is not strictly required, but it makes it super easy to remove the cake from the bottom of the pan when you’re ready to serve it. 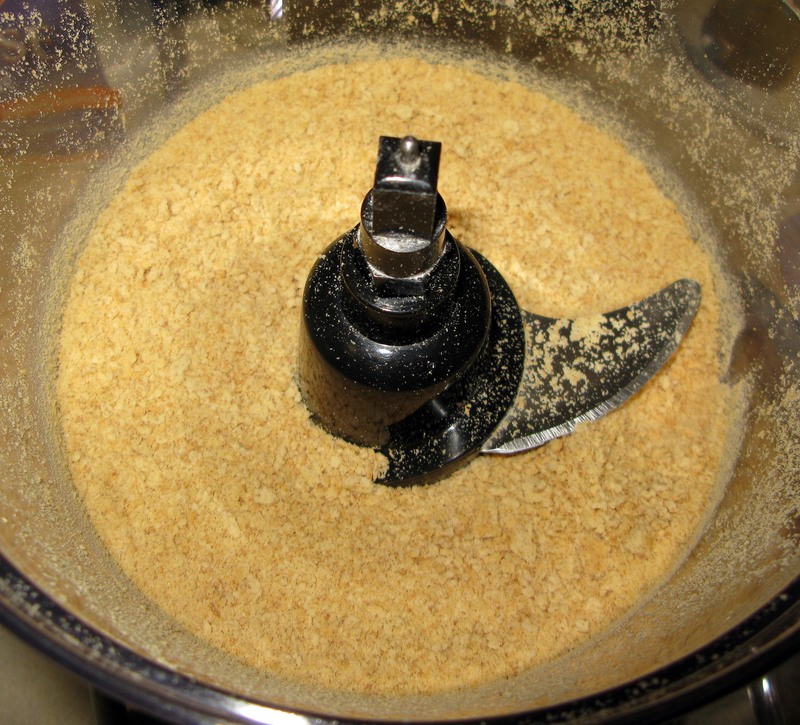 Grind up your graham crackers in a food processor (or double-bagged with a blunt object) until they look like sand. 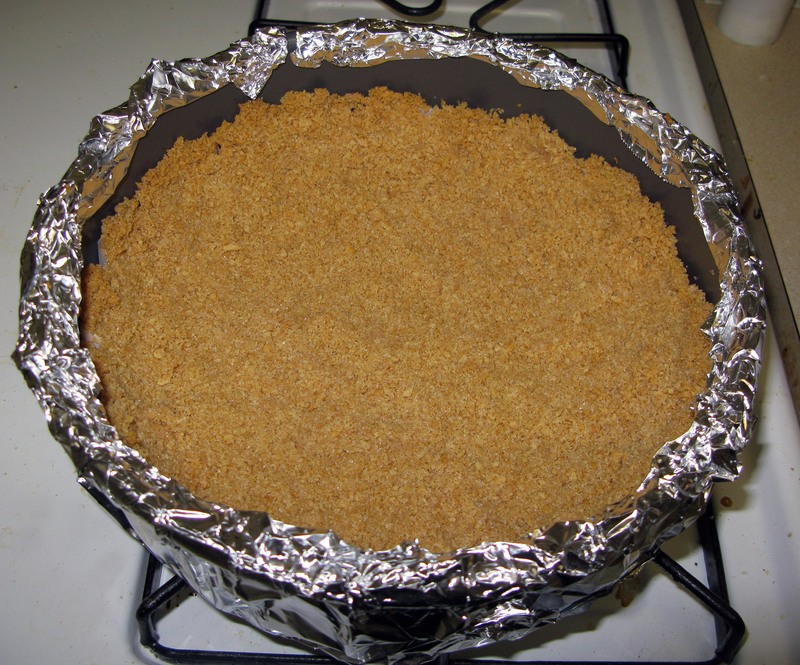 Stir together the graham cracker crumbs, melted butter, and sugar until it sort of holds together when you press it. 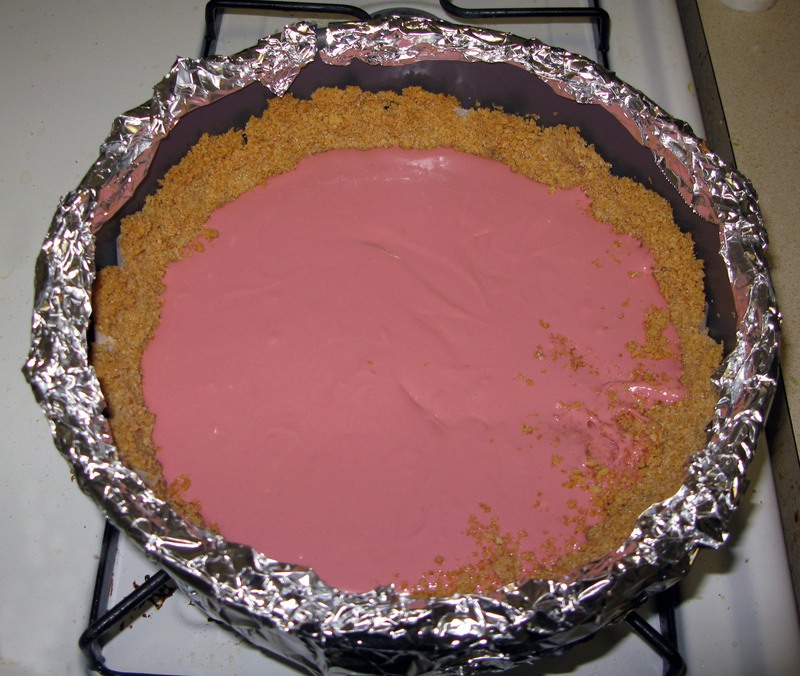 Pour the graham cracker mixture into the springform and press it evenly across the bottom and up the sides. You will lose your sanity if you try to force it all the way to the top, so just get it to go as high as you can and call it a day. Bake the crust for 10-15 minutes, or until the edges start to brown. Set the crust aside to cool slightly. 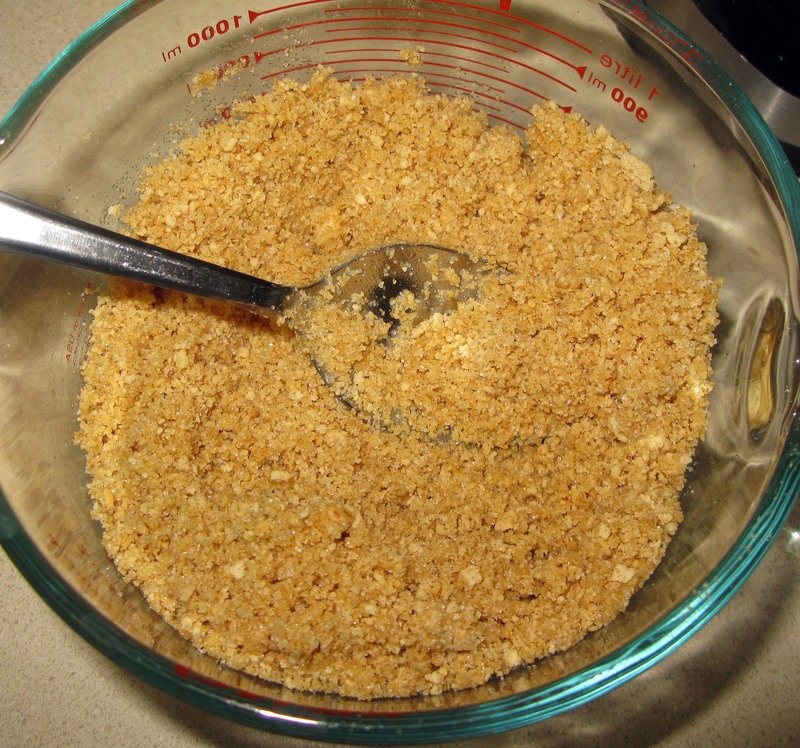 In a large bowl, beat together the cream cheese, granulated sugar, and brown sugar until the mixture is smooth. 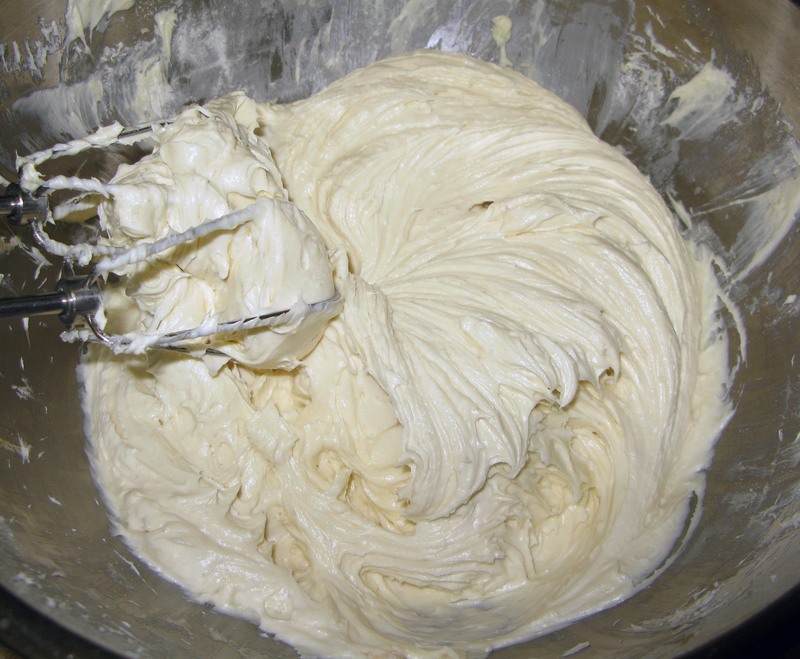 Add the flour and vanilla extract and beat the mixture until smooth again. 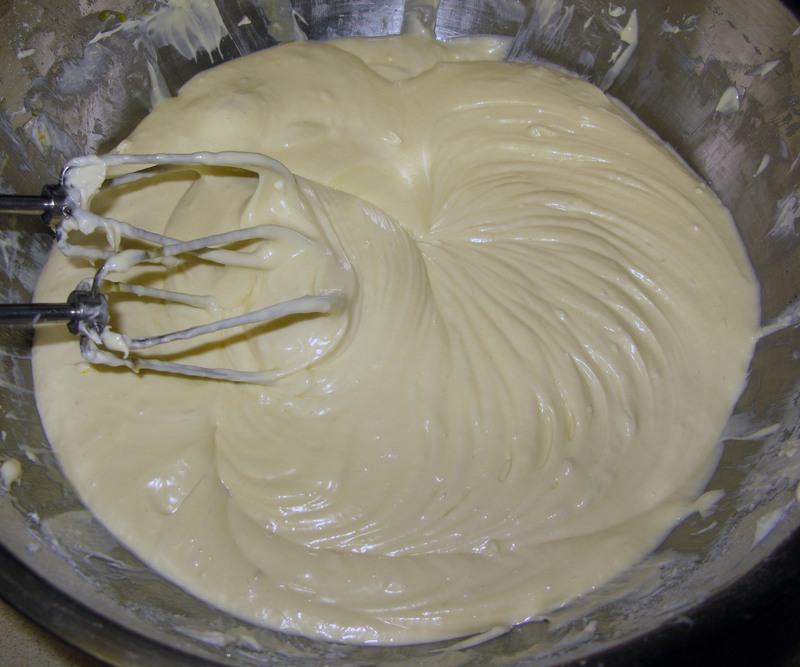 Add the eggs and beat until combined (there will be some yellow streaks in the batter). Remove 1¼ cups of the batter to a small bowl and stir in the pomegranate juice until smooth. 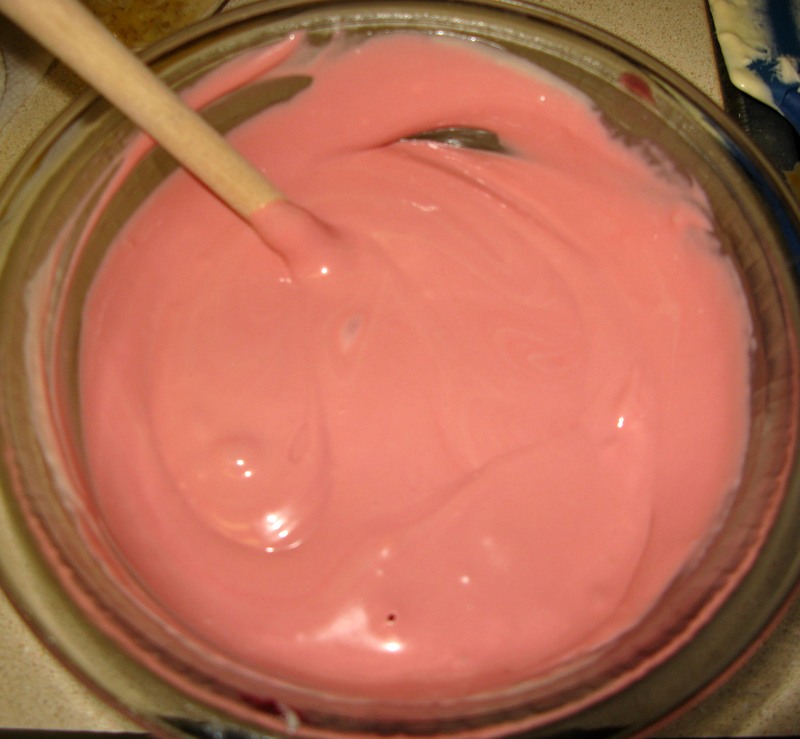 At this point, you can add some red food coloring to enhance the color if you so choose. 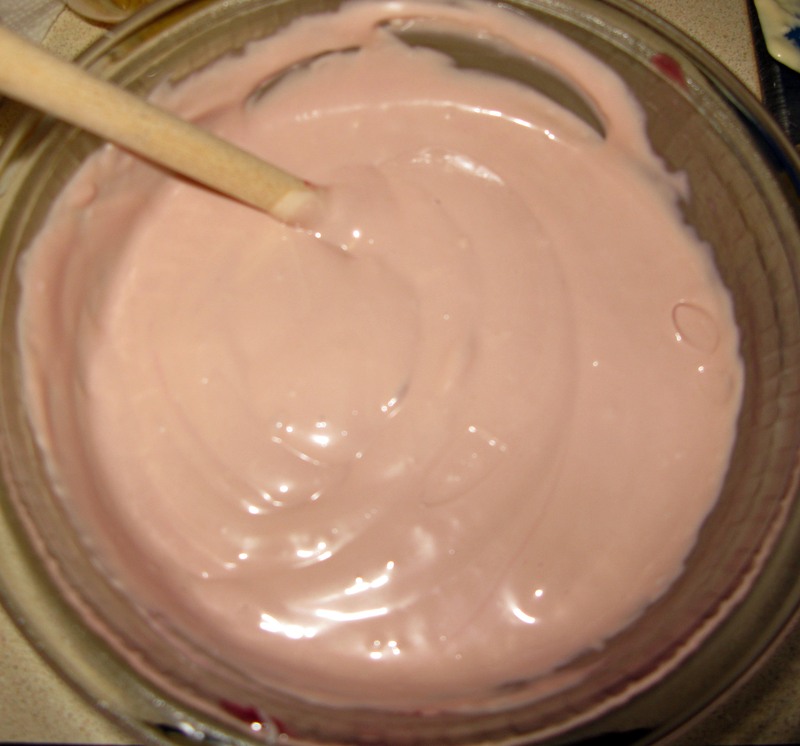 Put ¼ cup of the pomegranate batter in a small, resealable plastic bag and set aside. Spread the rest on the bottom of the graham cracker crust. 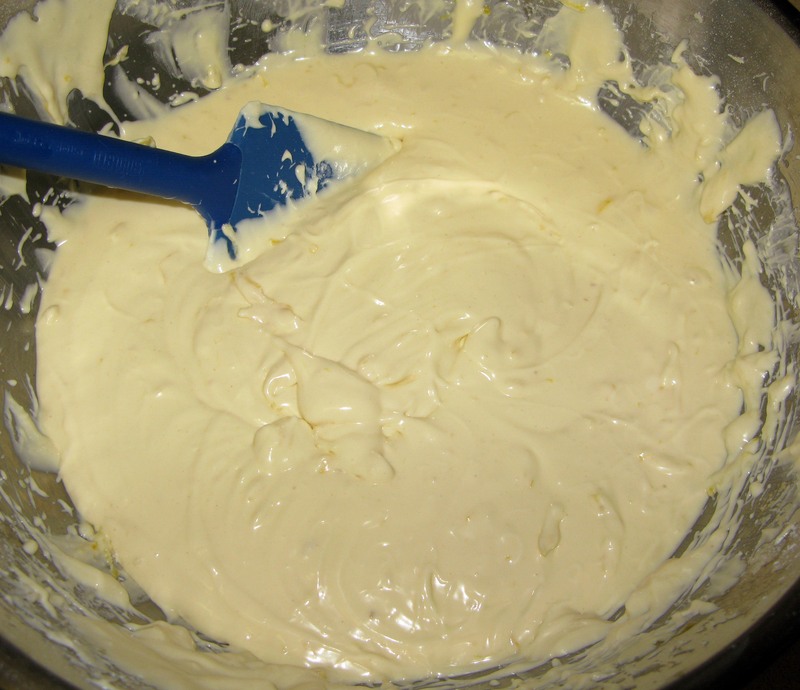 To the larger portion of the batter, stir in the lemon juice and zest until they are fully-incorporated. Pour the lemon batter on top of the pomegranate batter and gently shake the springform from side to side to even it out. 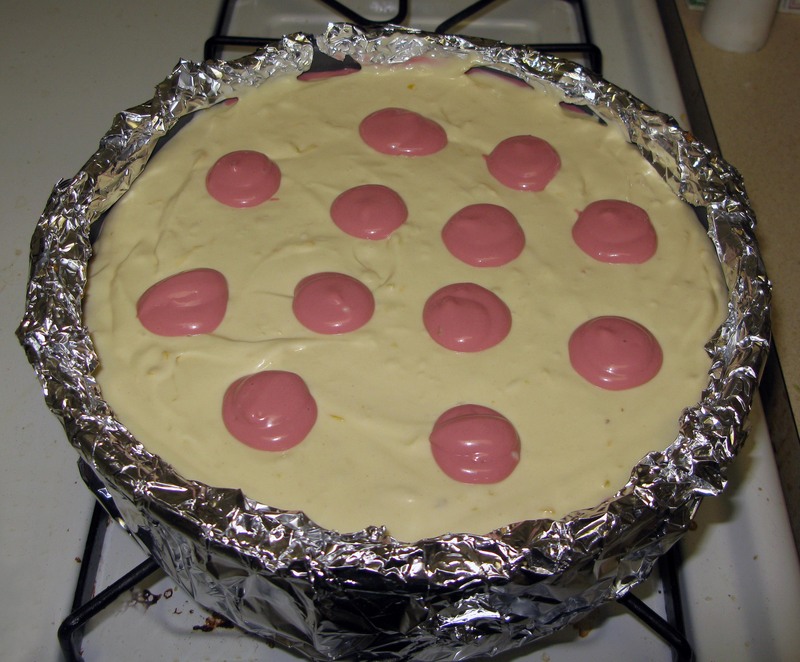 Cut a hole in the corner of the plastic bag holding the remaining pomegranate batter and carefully pipe circles of batter on top of the lemon batter. Use a toothpick to swirl the dots into hearts. Place the springform into a large roasting pan and fill the roasting pan with 1″ of hot water. 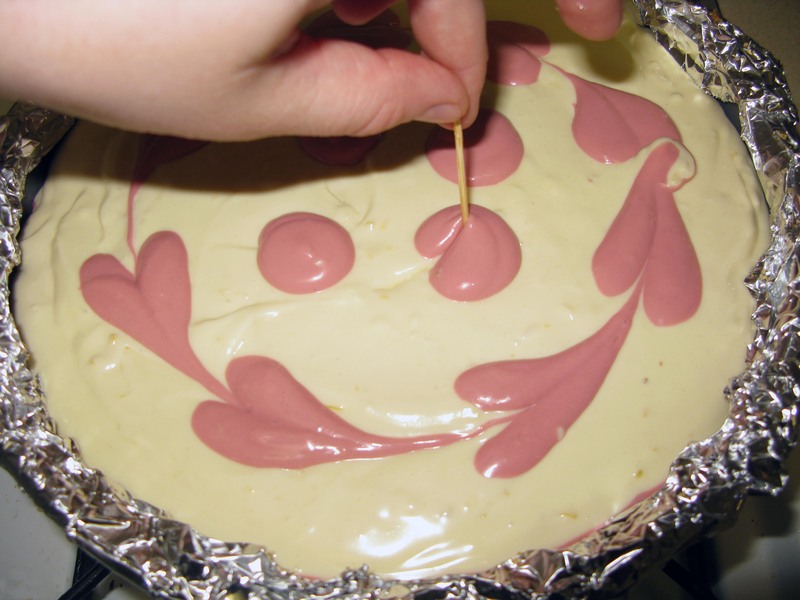 Bake for 1 hour 15 minutes to 1 hour 30 minutes, or until the center of the cake is set and the top looks matte. 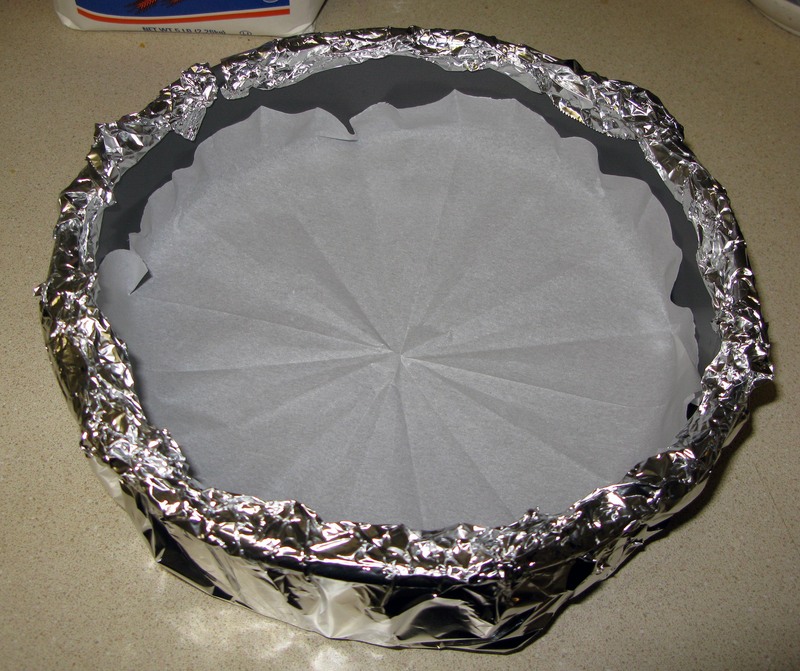 Carefully remove the aluminum foil from the pan and leave the cake to cool on a cooling rack for 10 minutes. Run a knife around the edge of the pan and then cool the cake for another hour. 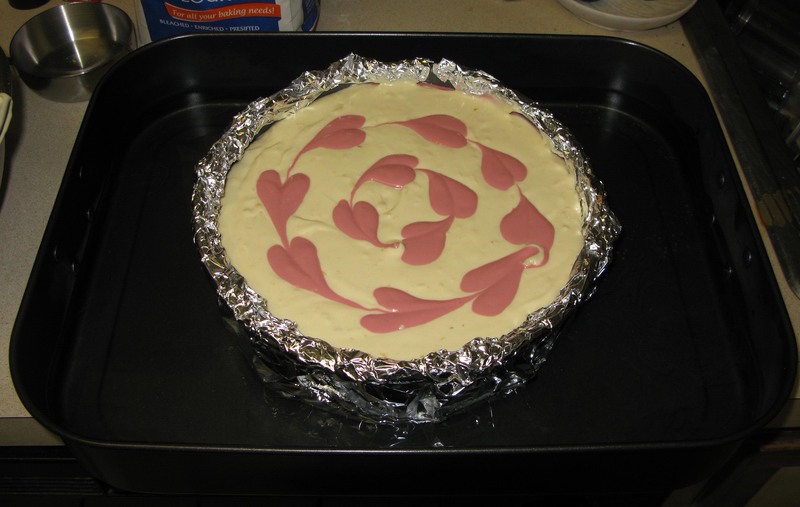 Transfer the cake to the fridge and chill overnight before removing the ring. When you are ready to serve (or transport), remove the side of the pan and carefully slide the cake off the bottom (this is where the parchment paper comes in handy). Peel off the parchment paper and put the cake on your serving platter of choice. Pingback: Green Tea Cheesecake with Mint Raspberry Sauce | I Wanna Bake! Pingback: Adventures in Mirror Glaze | I Wanna Bake!